When Alaí Reyes-Santos and her colleagues began thinking of themes for the Center for Latino/a & Latin American Studies symposium two years ago, they couldn’t imagine how relevant their event would be. 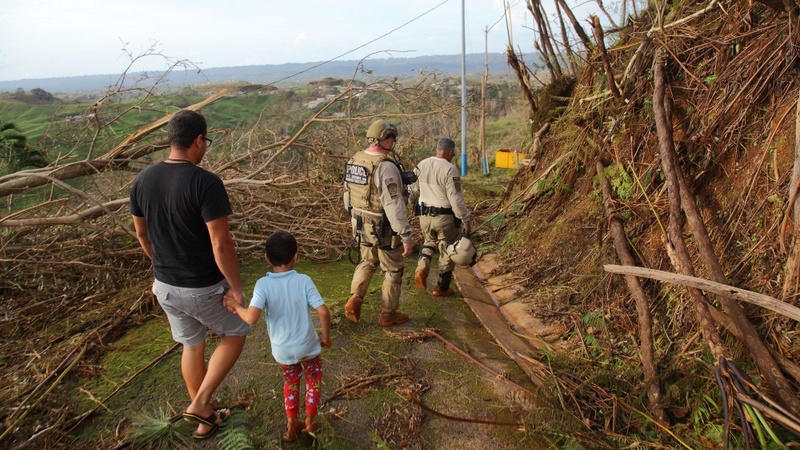 When they settled on “Justice Across Borders: Gender, Race, and Migration in the Americas,” they didn’t know large numbers of Puerto Ricans would be displaced as Hurricane Maria flattened wide swaths of the island and the U.S. would begin closely re-examining a range of immigration policies. The free event, which is open to the public, will be held Thursday, with sessions taking place in the Knight Library Browsing Room starting at 9 a.m. and at Gerlinger Lounge at noon and in the evening. The symposium marks what is believed to be the largest gathering of scholars, artists and activists working with Caribbean communities ever to take place in Oregon, with 15 scheduled to attend. Migration is major thread running through the conference, and many of the speakers will explore current events in their presentations. Reyes-Santos said she doesn’t have to look far to see examples of that firsthand. Since the hurricane damaged Puerto Rico last September, Reyes-Santos has fielded calls and emails from students enrolled at Puerto Rican universities looking elsewhere to finish their degrees because their institutions’ operations remain severely limited. The students join countless other island residents who have been forced to flee to the mainland, with several making their way into the Pacific Northwest. “We’ll have a few people talking about this new wave of migrants, their experiences and the challenges they’re facing,” Reyes-Santos said. That will be one of the main themes of the full-group session late Thursday afternoon, which features Edwin Meléndez, director of the Center for Puerto Rican Studies at Hunter College in New York; Ramona Hernández, an expert on the Dominican Republic at City College of New York; Monica Rojas, director of Movimiento AfroLatino de Seattle; and Laura Pulido, department head of ethnic studies and professor in the Department of Geography at the UO whose research focuses on political activism, racial politics and environmental justice. “They are all really stars in the field,” Reyes-Santos said. The event wraps up with a talk/reading/performance piece by Josefina Baez, Ana-Maurine Lara and Ernesto Lara, a trio of Dominican artists who will address the theme of justice in Latino and Latin American studies through an interactive artistic exchange.